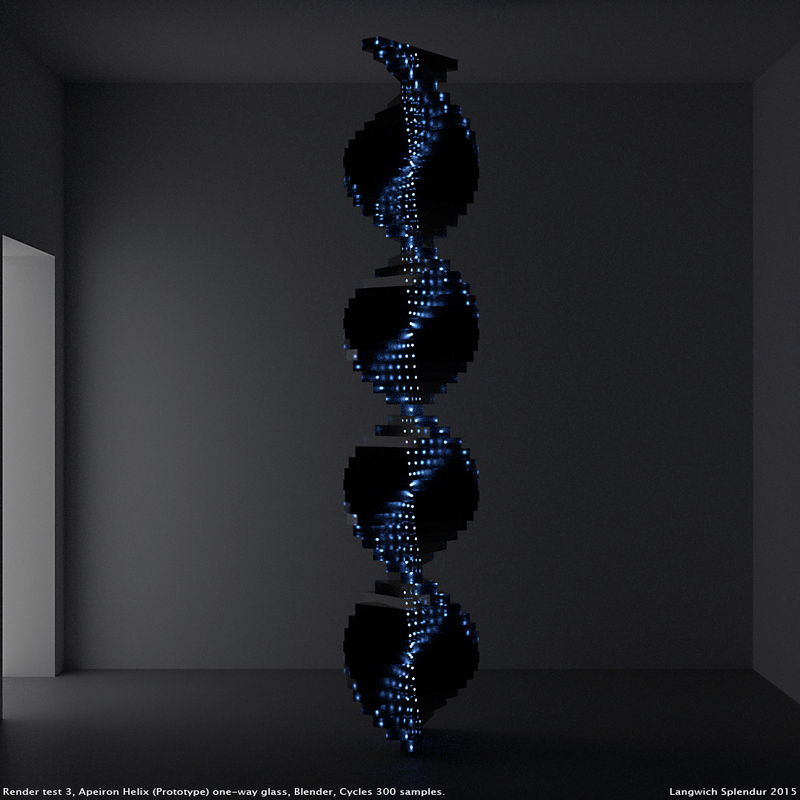 The same workflow that is often used in architecture etc, is equally handy for artistic projects. I can assist in visualizing art works that are not yet made, or I can create an accurate preview of what an art work will look like in a certain location using photo-matching techniques. Below is an example of a visualization. 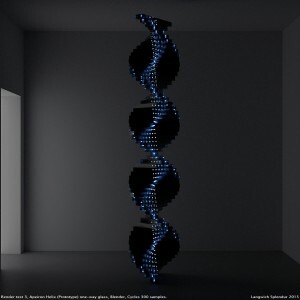 This image was created to to test the optical effect of the work Apeiron Helix (Prototype) (2015) by Rickard Ljungdahl Eklund, prior to its construction. You can check out the finished result at rickardljungdahleklund.com. Why stop there? You can almost do anything with computer graphics, that is what’s so great about it! It allows creativity without resistance, the holy grail of art history ;-).